How to test your Connection String using SSMS? In these posts, I mentioned that the application name parameter (and connection strings in general) can be used to alter the behavior of an application. One of the follow-up questions I received was around this topic, and today, I would briefly demonstrate a practical use of this functionality. How can you modify the application behavior by using the application name parameter of a connection string? A common requirement that I have encountered in many home-grown enterprise systems which share the same database is to exhibit different auditing behavior based on which application or interface is inserting/updating a piece of data. Most legacy applications implement auditing via database triggers, and checking for the application name in these triggers is the solution to realizing this requirement. Today, I will explore with you how the APP_NAME() function can be used to alter the behavior of an application based on the application name set by the connection string. Consider the following trigger that is executed whenever an Employee record is updated. The only purpose of this is to audit the changes made to the Employee record by applications other than the “MyEnterpriseProduct”. These updates could be through interfaces or through any other applications that the organization may be using. This demo will walk you through using the APP_NAME() function, which returns the application name for the current session if set by the application, within a DDL trigger. The following code creates an auditing table followed by an update trigger on the Employee table. Notice that in the second result set (in the connection with Application Name set to “OtherApplication”, the BeforeJobValue is set to “CEO”, indicating that the first query did actually update the data, but the activity was not logged. As can be seen in the demonstration above, we were able to change the behavior of the auditing mechanism built into the application based on the parameter (Application Name) supplied within the connection string. Connection strings are therefore very powerful, and I urge all readers to go back, explore and share the results of your experiments through your comments on this post. Disclaimer: The above example is only intended to demonstrate the use of the system function APP_NAME() and should not be used as a guidance for designing an auditing solution. An auditing solution requires capturing many more parameters and is outside the scope of this discussion. 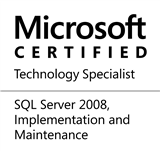 This entry was posted in #SQLServer, Blog, Imported from BeyondRelational and tagged #SQLServer on November 26, 2012 by nakulvachhrajani.